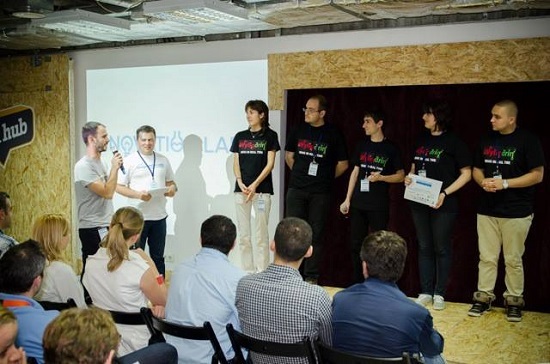 Yesterday, we were very proud to host the Innovation Labs Demo Day. 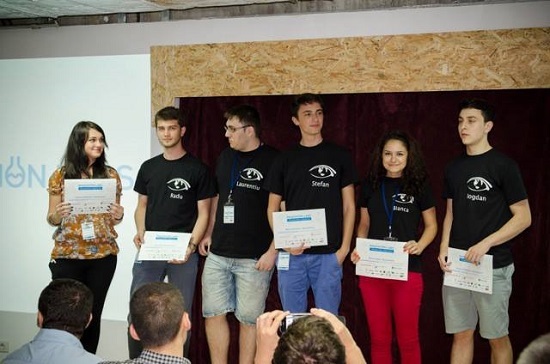 11 great teams of students have presented the products they've been developing for the last 3 months, part of the Innovation Labs program organized by TechSoup Romania and TechLounge for the students in the University "Politehnica" of Bucharest. The program has guided 50 students through the process of building a product and the business around it. Yesterday, over 100 persons - judges, mentors in the program and other startup lovers - have gathered in our events room to meet the teams and find out what came out from 3 months of hard work. 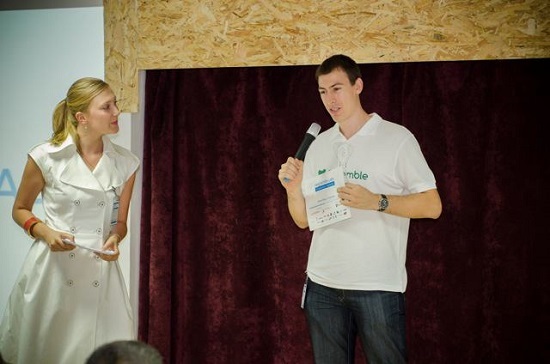 Best Pitch: Freemble - an Android app that helps you donate things you no longer use. Best Prototype: Feedspot - a new loyalty sistem for restaurants, in the form of a mobile app, aiming to replace fidelity cards. 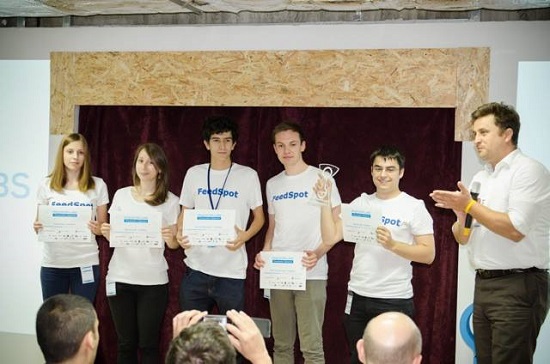 Feedspot also won the"people's choice" award, decided through an sms vote system available for the people in the audience. Best Business: Wyliodrin - a service that allows programming and controlling development boards directly from the browser (The user can write, store and run his programs. He can modify and watch the board�s parameters in real tine, no matter where the board is located. All the user needs is a browser and an Internet connection.). We were also impressed with the Wyliodrin team, so we've offered them TechHub Flex memberships for the next 3 months, to support them in developing their prototype. Special Jury prize: Seenesthesis - an application for the children with impaired view through which they can learn and recognize simple objects in the real world using touch-screen phones. If you're curious about the other teams that pitched, read about them on the Innovation Labs website. It's been a pleasure for us to host the event and to accommodate the wonderful people it gathered!